Aditya is the Product Lead at Startup India Hub, the nodal team under the Govt. of India initiative ‘Startup India’ at Invest India. He has led engagements providing advisory services related to policy guidance, India market entry/opportunity, and strategic partnerships for stakeholders in entrepreneurial ecosystem. He had led the development of the Startup India virtual hub, a one-stop digital platform for startup ecosystem in India, and setting-up of operations for the Startup India helpline. 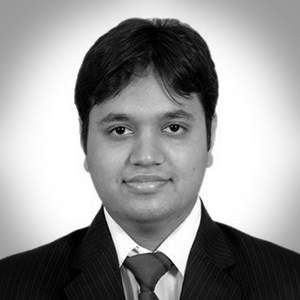 Prior to working with Invest India, Aditya has worked with Deloitte and Accenture across Cyber Security, Strategy & Governance, and Software Engineering domains serving global clients across industries. He holds a Masters in European Business (MEB) from ESCP Europe, MBA in International Business from top B-school in India, and Engineering in Information Technology.